Manage wages, leave, super and Single Touch Payroll for an unlimited number of employees with Reckon One. Reckon One is Single Touch Payroll compliant and ATO certified, so you can meet your STP reporting requirements quickly and easily and breeze through end of financial year. Simply process a pay run as normal, then generate your STP report in Reckon One. Hit send and your STP report will open up in our new ATO gateway called GovConnect STP. Here you review your submission before you lodge, keep track of ATO messages and access past submissions. 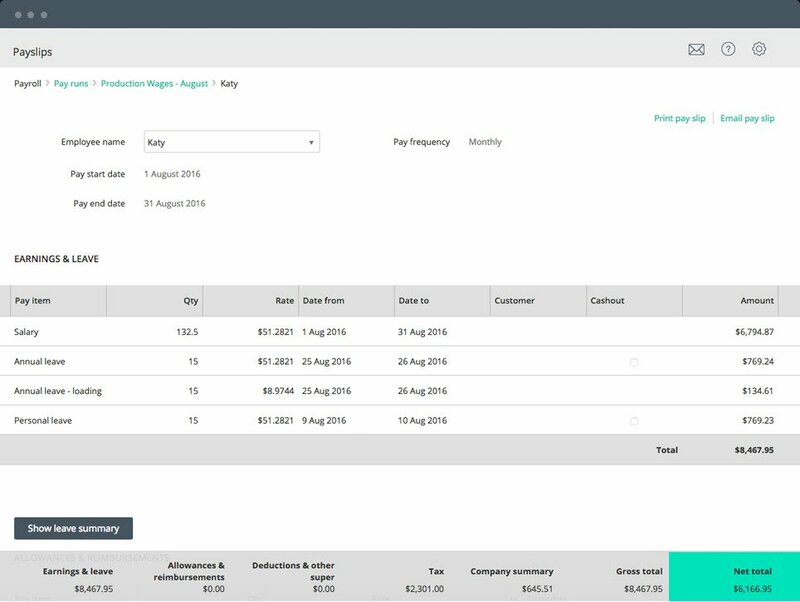 Easily manage wages, leave, super and Single Touch Payroll for an unlimited number of staff for just $5/mth. Unlike other payroll solutions, you won’t need to pay by the number of employees you have – saving you money as your business grows. 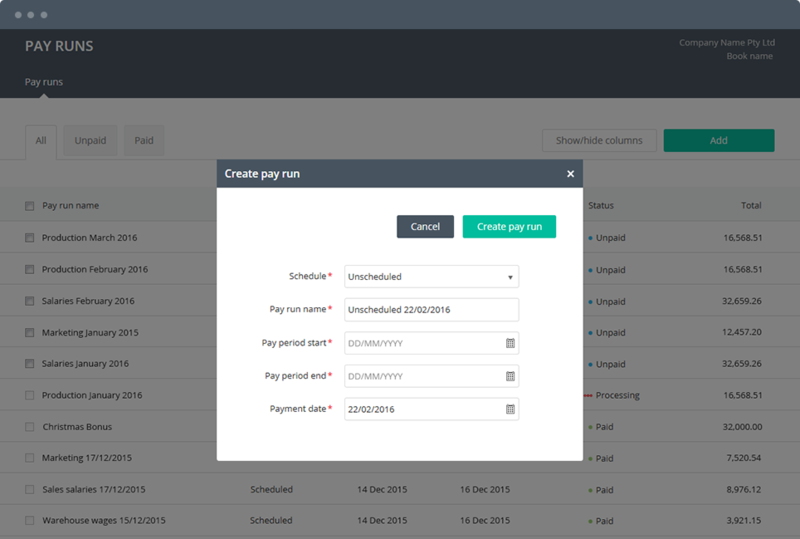 Simply set up your default settings, enter employee details and hit pay! 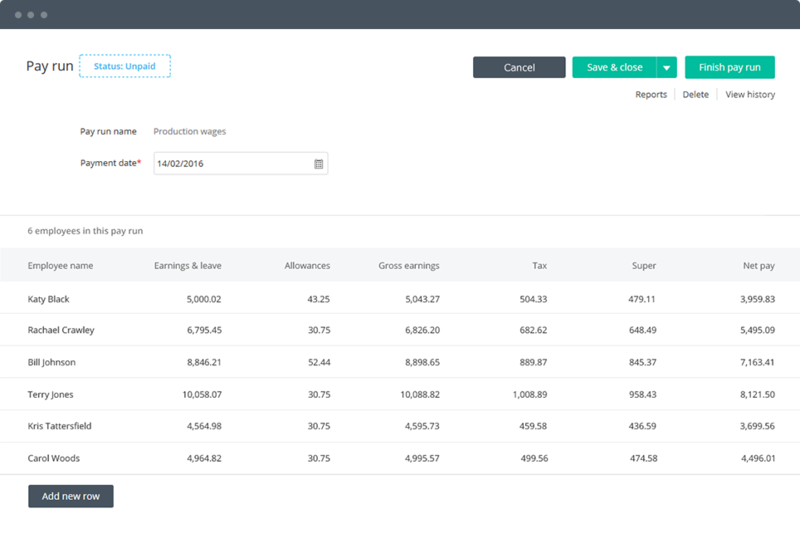 Group pay items by industry, group of employees, tax rate, and much more. It’s payroll that fits to the way you run your business. You can create a pay run, save it and come back to it at a later time too. 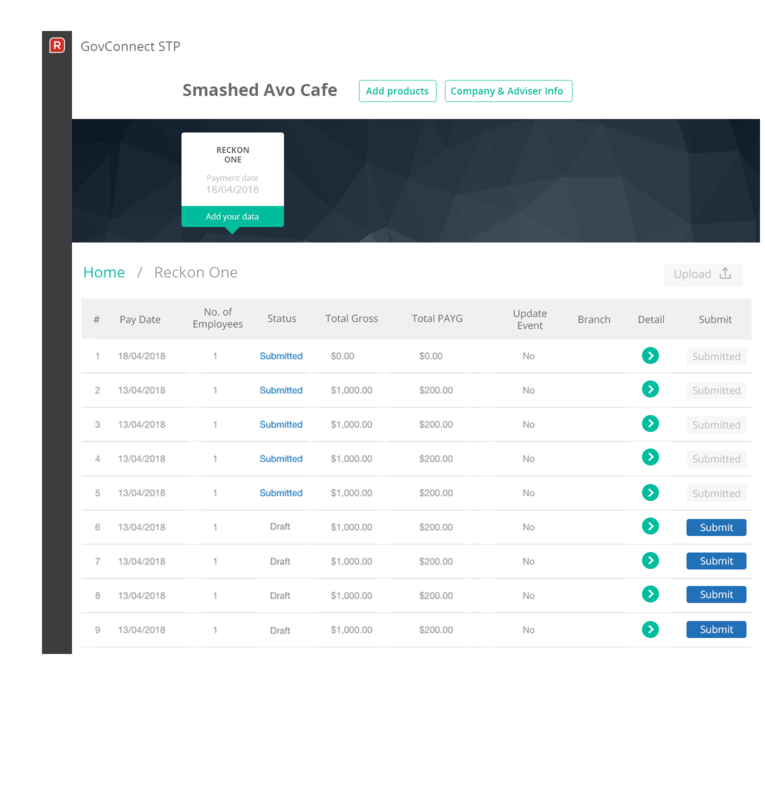 Intuitive navigation, clear workflows and simple data entry means you can easily pay staff. It’s also simple to stay up to date with the latest payroll and tax compliance changes with updates such as PAYG tax-tables, superannuation guarantee rates and SuperStream requirements automatically pushed into Reckon One. Leaving you more time to focus on running your business.